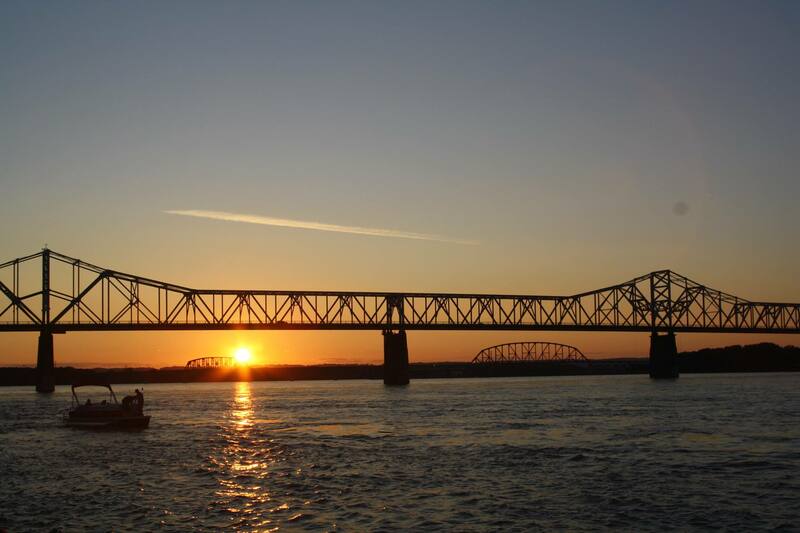 Last weekend Louisville, Kentucky hosted the eleventh annual Forecastle Festival on the banks of the Ohio River. Over 75,000 fans, four stages, 65 musical acts and one festival evacuation made for an exciting weekend. With live music comes the element of surprise and it was plentiful this year. Unfortunate cancellations were made by acts Animal Collective, Dan Deacon, and Sharon Jones and the Dap-Kings due to illness and the threat of powerful thunderstorms shifted the schedules during two day of the event. Yet despite the unexpected; fans, musicians, festival workers and volunteers kept laughing as they effortlessly held the ship together. Hailing from just across the Ohio River in southern Indiana, Houndmouth was the first band of the festival to draw an impressive crowd. 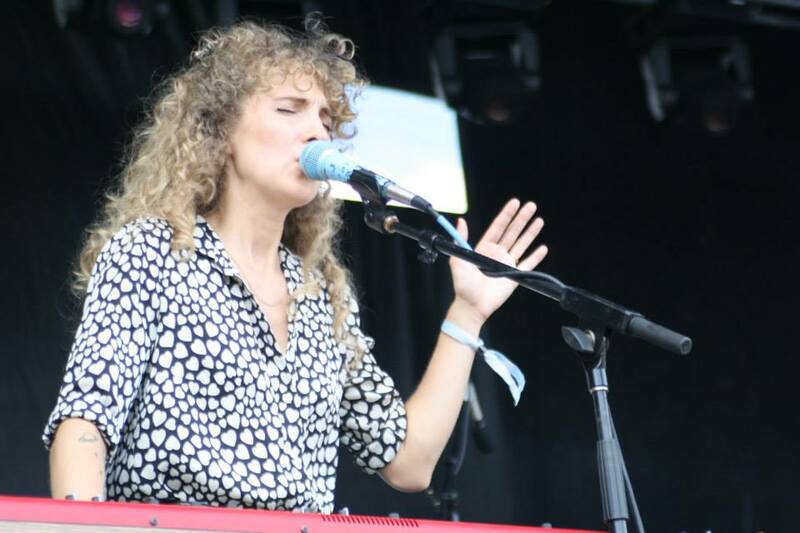 Although this performance was a bit of a homecoming, they have been gaining national attention this summer touring with the Alabama Shakes, who also appeared at the festival. The set primarily consisted of songs from their first and only LP, From the Hills Below the City. Violinist Scott Moore, from Kentucky based bluegrass outfit 23 String Band, joined in for a few songs. Houndmouth closed their set covering The Band’s “I Shall Be Released”. Yes, they played “Wagon Wheel”. They also played another hour and twenty five minutes of foot stomping rump shakin’ bluegrass. Closing out the first night of the festival, String Cheese Incident played an hour and thirty minute set that except for a few short water breaks seamlessly flowed together. 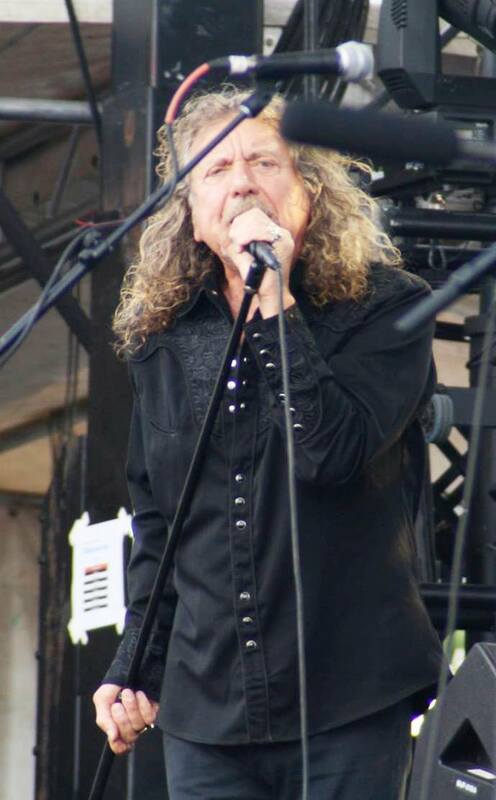 Backed by an impressive lightshow, they charged through a ten song set list that included “Rosie”, “Sirens”, and “Colorado Bluebird Sky”. The crowd exploded as they broke into a funky rendition of Aerosmith’s “Walk This Way”. As the lights came on, the crowd sluggishly left the festival ready to recharge for another full day of music. 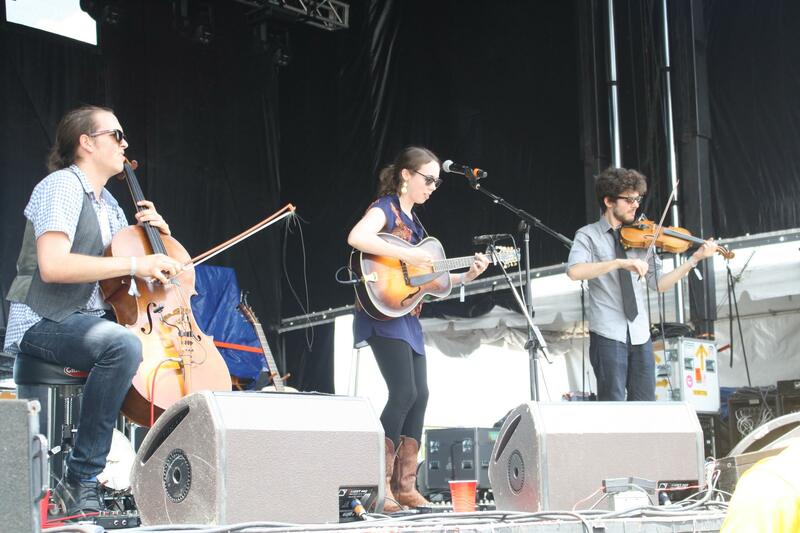 Singer songwriter Sarah Jarosz kicked off the festivities on Saturday with her beautiful harmonies and creative folk interpretations. Rolling Stone once called her, “Gillian Welch’s long lost daughter” – which is quite a compliment considering she’s only twenty-one years old. Despite her young age she has an impressive resume which includes playing the RockyGrass Music Festival in Lyons, Colorado, at the age of 11. Her set reflected her many talents. She played many songs from her discography including her new album Bring Me up from Bones and included an enchanting cover of Joanna Newsom’s “The Book of Right-On”. Keep an eye out for Ms. Jarosz; she is not to be missed. There are only two of them, but they make a lot of noise. 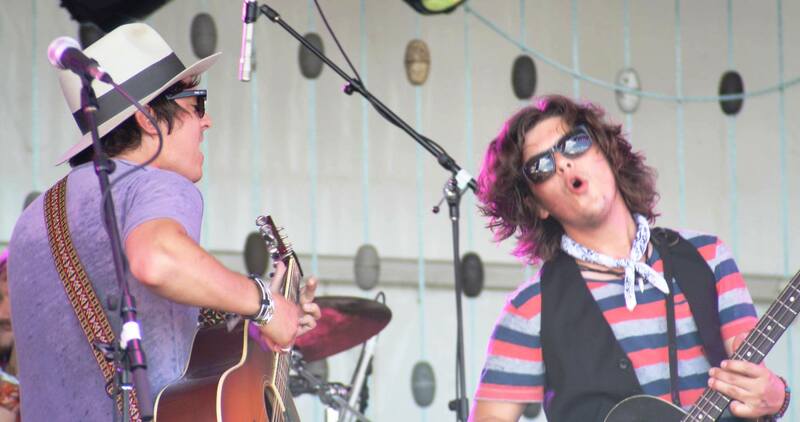 The two piece blues-based folk duo out of Charleston, South Carolina didn’t mind the midday sun. Picking up momentum for their single Birmingham, Shovels & Rope play a set that makes me concerned for their instruments. Playing on an elevated platform they stomp, slam, and then swoon. Once it appeared DAWES was set to play, the tarps came out. Festival goers were asked to vacate the premises and find shelter or safety or just hold on to something nailed down. The rain never came and as the warnings and blood pressure dropped the festival resumed after an hour delay. Perhaps due to Brittany Howard’s powerfully deep voice, I overheard, “I swear I thought the lead singer was a dude until today” too many times. Fortunately, for Brittany and the Shakes, she is captivating. She’s Janis Joplin reincarnate. The concise rock single “Hold On” has given the Alabama Shakes major attention; however, the majority of their set is full of soul. Not Rick James funky soul either, but uplifting gospel. Brittany you’re beautiful. 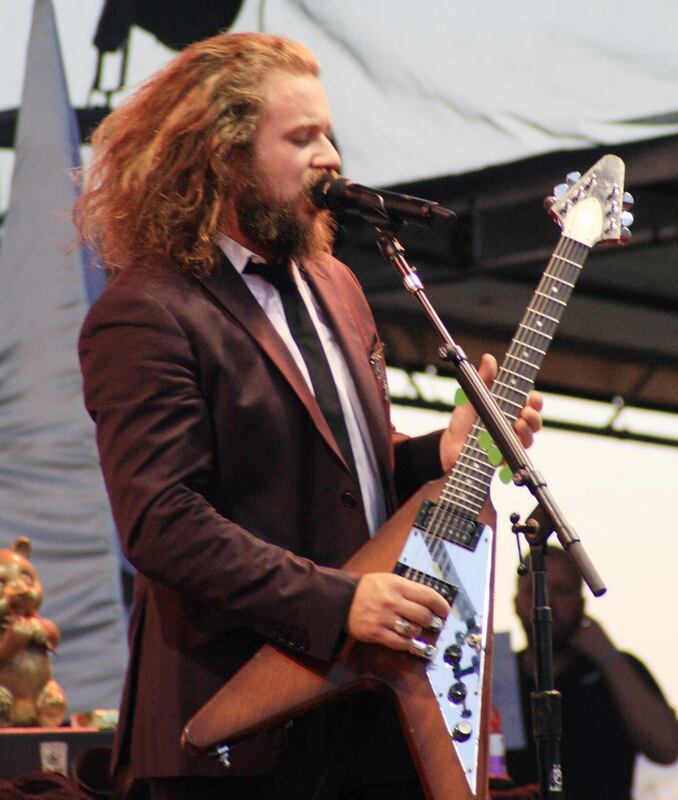 Back in his hometown, My Morning Jacket front man Jim James performed in support of his solo album Regions of Light and Sound of God. James bounced around the stage as he normally does, energizing the crowd with his endearingly strange artistic charades. Holding up bizarre statues and covering his head in a towel, he lets you know it’s going to get weird and you’re going to enjoy it. The set consisted mostly of songs from the new album with a few acoustic My Morning Jacket songs thrown in. He ended the set with a beautiful version of The Beatles’ “Let it Be”. As if it was even possible: The Flaming Lips have become even weirder. Keeping in mind the last time The Flaming Lips played Forecastle they projected a naked woman on the screen, and then walked onto the stage by stepping out of the screen where the woman’s, um..velvet underground was being displayed. This time Wayne Coyne performed most of the set while holding a plastic baby, complete with an umbilical cord that wrapped around the stage. As he sang and danced he swaddled the baby, kissing and hugging it. The performance seemed to get a mixed reaction from the crowd. Personally, I think he’s got mommy issues. In 2009, when the festival was tucked away on a much smaller corner of the waterfront, The Black Keys performed. Now, with its biggest and best year yet The Black Keys came back to headline. Even though their set was pushed back due to the weather earlier in the day, The Black Keys played a full hour and a half. They ran through a set that spanned from the earlier Thickfreakness LP to the Grammy winning “Lonely Boy” (El Camino LP). By the end of the set, drenched in the humidity, fans sauntered home satisfied and sweaty. In the midst of a very busy and very productive summer, Wild Feathers used their momentum to kick off the last day of the festival. With an impressive turnout for early in the day, the Wild Feathers made their presence felt. Playing songs from their soon to be released first LP of the same name, it was shocking to see how many fans already know the words to most of the songs. 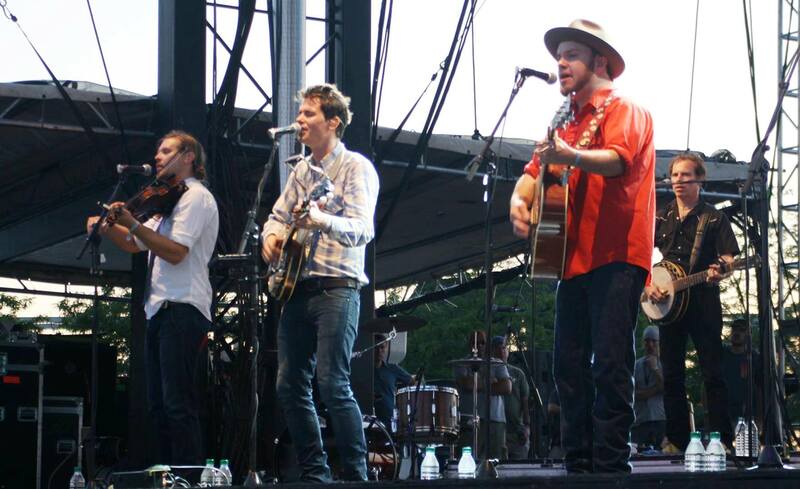 Like Sarah Jarosz, keep an eye out for these guys. Tennis is the indie-pop group out of Denver, Colorado whose latest album was produced by Pat Carney of The Black Keys. Made up of husband and wife duo, Alania Moore and Patrick Riley, Tennis walks a fine line between the synth/pop and rock worlds. Moore’s vocals are tremendous and so entrancing fans didn’t mind standing in the sweltering heat. The String Cheese Incident and Sam Bush graciously stepped in the Sunday timeslot that was originally slated for Animal Collective. Animal Collective had to suddenly cancel several of their summer dates due to illness. Sam Bush is a man of many hats. He is considered to be the originator of “newgrass” or progressive bluegrass, which paved the way for acts like Nickel Creek, Yonder Mountain String Band, and String Cheese Incident. He has played the Telluride Bluegrass Festival 39 of the 40 years it has existed. This impressive feat has earned him the title: King of Telluride. String Cheese Incident is a Colorado based bluegrass jam band whose headlining performance on the Mast Stage on Friday felt more like Phish than Leftover Salmon. 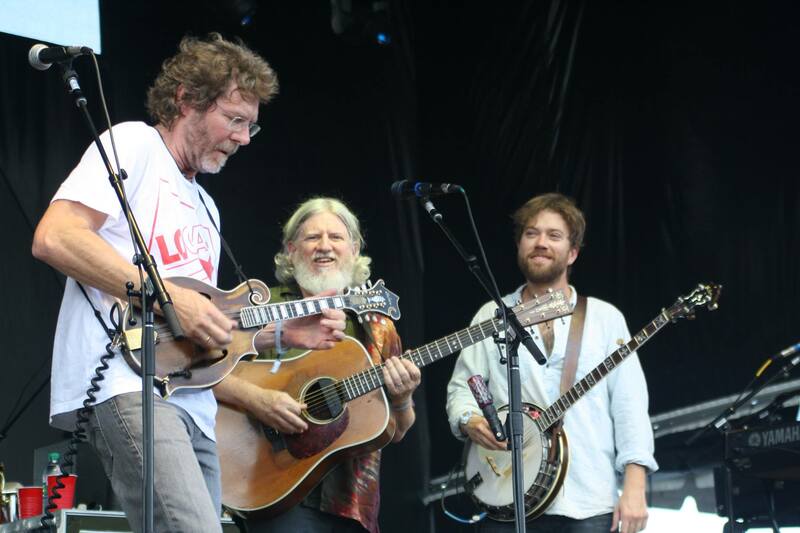 So, when Sam Bush came on stage with String Cheese on Sunday afternoon, it was time to infuse the festival with high-octane bluegrass. They played their own material as well as some traditional bluegrass standards. The real treat of the performance was watching each musician take turns embrac ing the moments they had to share the stage with Bush. The Avett Brothers, who along with The Black Keys played Forecastle in its younger days, took great pride in closing the festival. Fortunately the storms passed by quickly and the Avett Brothers were able to play a lengthy 22 song set. The band was electric; swapping instruments, vocals, and the spotlight. The brothers consistently jumped into the audience keeping the energy high throughout the night. They closed with a sing-along to “I and Love and You”. It was the perfect way to end the festival. 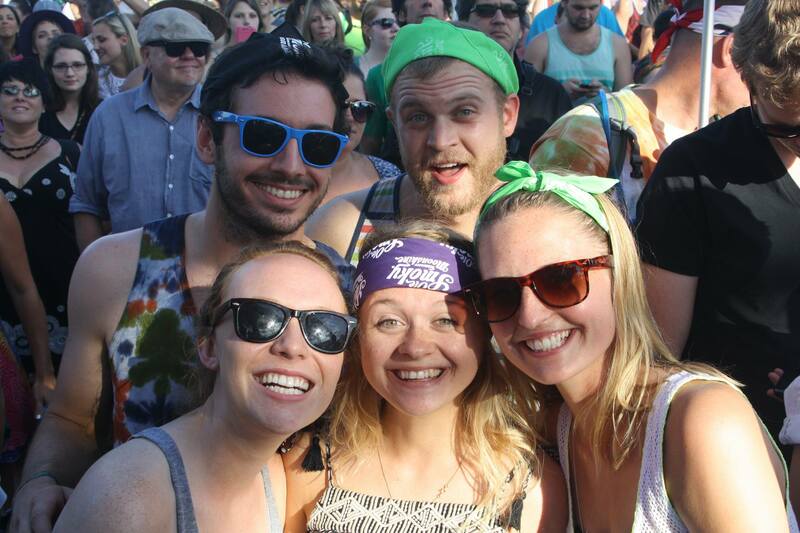 Check out more photos from Forecastle 2013.